Read on to find out about Elsevier's in-house materials science team. For information on individual journals, including editors and editorial boards, visit the journals page. For additional contact information, including marketing and advertising, visit the contacts page. Christiane Barranguet is Publishing Director for Materials Science, a group comprising 6 Publishers who manage over 50 international journals. She completed a DEA and a PhD in Oceanography in Marseille, and has held positions at the Netherlands Institute of Ecology, the Royal Netherlands Institute for Sea Research, and the University of Amsterdam. In 2004 she joined Elsevier to reposition the publication policy and manage the top international scientific journals in water research. Christiane developed information solutions around water research and technology including scientific conferences, new products and cooperation with NGO’s. Before joining materials science, Christiane was the publishing director of the Computer Science and Industrial Manufacturing group at Elsevier. Stewart Bland is the Publisher of Materials Today, Applied Materials Today, Materials Today Advances, Materials Today Energy, Materials Today Communications, Materials Today: Proceedings, Progress in Materials Science, Current Opinion in Solid State & Materials Science and MaterialsToday.com. Stewart's role involves developing the Materials Today family of titles as a comprehensive home for materials science publications, as well as overseeing the Materials Today website and the constituent content. Prior to joining Elsevier, Stewart completed a PhD in materials physics at the University of Durham. Joe has been with Elsevier since 2013, working on the built environment journals prior to joining the materials science team in 2016. During his publishing career he has worked in various disciplines, including sustainability publishing, as well as stints in health and life sciences. He is now responsible for the materials engineering journals, which includes the Acta Materialia journals, a number of other well-established materials engineering journals, and the newly launched journals Materials Discovery and HardwareX. Joe has a keen interest in using the tools and networks at Elsevier to connect communities across disciplines and sectors. He has been involved in a number of initiatives aimed at broadening the reach of scientific research papers and encouraging different methods of communication to help lay foundations for future areas of research. Tingting Zou has been a Publisher in Elsevier’s Materials Science group since 2010, principally looking after journals related to composites and metals, as well as some broader materials titles, including Composites Science and Technology, Composites Part A and B, Composite Structures, Cement and Concrete Composites, Cement and Concrete Research, Intermetallics, Corrosion Science, and Materials Letters. Her role also involves developing Elsevier’s Materials Science journal program in Asia with a particular focus on journal partnership and promoting editorial presence in the region. Liliana Birla is the Publisher of the Energy Materials and Ceramics portfolio. She completed a PhD in (Bio-Physical) Chemistry at the University of Bucharest and continued as a Lecturer in Molecular Structure and Spectroscopy. After several research stages at the University of Utrecht, Perpignan and Toulouse, she moved to the Netherlands. 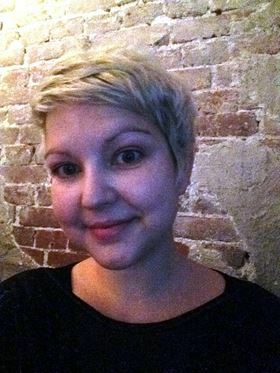 She joined Elsevier in 2012, becoming a Managing Editor for Applied Surface Science, involved in the quality assessment of manuscripts and CrossCheck Report analysis. Afterwards, as Associate Publisher of the Computer Communications and Microelectronics portfolio, she managed journals such as Big Data Research, Nano Communication Networks and Microelectronic Engineering. Since 2015 Liliana is certified as a Lean Six Sigma Green Belt. Marlene is a Publisher in Elsevier’s Materials Science group since 2016, focusing on journals related to Metals & Engineering. She has a PhD in Particle Physics and has worked as a scientist in Radiotherapy research in the Academic Medical Centre in Amsterdam. While working for the Netherlands Organization for Scientific Research and Elsevier she discovered her passion for developing science outreach methods for the 21st century. Leanne completed a PhD in Materials Science from the University of Cambridge. She has been working in publishing since 2012. During her publishing career, she has worked in various disciplines including applied mathematics, materials science, physics and engineering. Leanne is currently Publisher of Progress in Polymer Science, Polymer, European Polymer Journal, Polymer Degradation and Stability, Reactive and Functional Polymers, Progress in Organic Coatings and Polymer Testing. Leanne’s role also involves managing both the International Conference on Multifunctional, Hybrid and Nanomaterials and the International Symposium Frontiers in Polymer Science. Emma joined Elsevier in early 2018, initially working on social science titles before joining the materials science team. 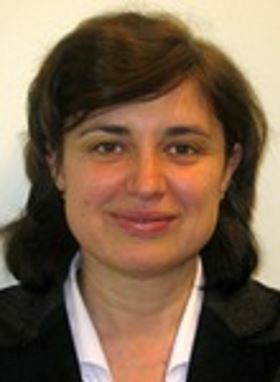 She is responsible for the biomaterials portfolio which includes: Biomaterials; Materials Research Bulletin; Materials Science and Engineering: C; Materials Science in Semiconductor Processing; Synthetic Metals; Superlattices and Microstructures; Nano Today; Nano Energy and Materials Today Nano. During her publishing career she has worked across various disciplines, and most recently worked on multidisciplinary open access journals. TFP's Nigel Walker has been awarded the status of Fellow of the Royal Society of Chemistry (FRSC). UK laminate manufacturer Tufnol Composites has invested more than £35,000 in the testing equipment for its Birmingham manufacturing base. 3D printing institute America Makes has appointed Josh Cramer as its new education and workforce director.